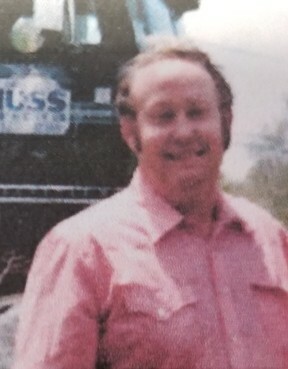 Clyde Edward Henderson, age 78, went to be with his Savior and Lord while at his home, on Monday, April 8, 2019. Clyde was born June 8, 1940 and is the son of the late Earl Douglas Henderson and the late Lessie Juanita Montgomery Henderson of Virginia. He is preceded in death by his infant sister- Shirley Henderson, sister, Sue Henderson Dawson (Delmar Dawson), brother Emmett Henderson (Geraldine). His surviving grandchildren are Michael Henderson and fiancé Jennifer Pickard, Tori Henderson, Seth Henderson and fiancé Melissa Folsom, Nevaeh Uttley. Elizabeth Ashley Henderson and fiancé Frank King, Jonathan Henderson, Olivia DiAnne Poupore and partner Shandi Richardson, Gavin John-Leo Poupore and wife Lauren Russ Poupore, Alec Rhiley-Avery Poupore. His surviving great-grandchildren are Presley Henderson, Abby Britt, Isabella Poupore, Kirsten King, Lilly King, Layla King. His dear departed friend- Morris Auman (his chess buddy) and his surviving friend, Wayne Pulliam (his guitar picking buddy) meant so much to him. Clyde attended Berean Memorial Baptist Church of Sophia, NC. He was a very educated and dedicated man that believed furthering his education and working hard. He had a love for learning. He thoroughly enjoyed having deep discussions about politics, education, world events, and Carolina Tarheel Basketball. Clyde was a graduate of Meadowview High School, received degrees from Virginia Commonwealth University and High Point College with degrees in Science, Rehabilitation and Counseling. Some of Clyde’s professions included but were not limited to a Social Worker for the State of NC, Head of Rehab at Morrison Training School, was a founding member of Randolph Vocational Workshop, Realtor, Educator of Real Estate and Economics at Randolph Community College, Educator for Montgomery Tech, Owner/Operator of H&M Grocery of Sophia NC, Owner/Operator of SK Furniture. He was a lover of golf, checkers, chess, music, old western movies and books. He was an avid gardener, and bird watcher of blue birds and humming birds. He was a diehard Carolina Tarheel basketball fan. No matter the time of day or night, he was always ready to share a story of his many adventures that all began in Saltville, Virginia. A memorial celebrating Clyde Henderson’s life will be held Sunday, April 14 at 3:00 pm at Berean Memorial Baptist Church 4991 Branson Davis Rd, Sophia NC.